Thank you. I'm still looking for nice paint scheme for this vehicle. I'm interested with vehicle from Ardennes offensive. I'm just curious that german three tone camo was used on sWS halftracks. For this campaign I'm going to build the M3 version BUT captured by DAK in late 1943. This is my 2nd Campaign and my 4th build. Nice twist to build, John! Thanks Clayton! I'm looking forward to this build and campaign. I think I've found a suitable subject for this Campaign. A little bit left of field but . Have a decent amount of literature and photos to work from so hopefully I can produce a realistic replica. Scale will be 50th (so I can use some spare diecast tracks ). Proper date stamped start photo to follow. Left of field is a good thing, R.J.! Are you intending to scratch this monster? @RJ, What Clayton said and can't wait to see the progress builds!! I mentioned "late 1943" in a previous post. I ment to write "early 1943". Hi. For many reasons, it has been a while since I started and finished a model, and this seems like just the thing to push me to do it! 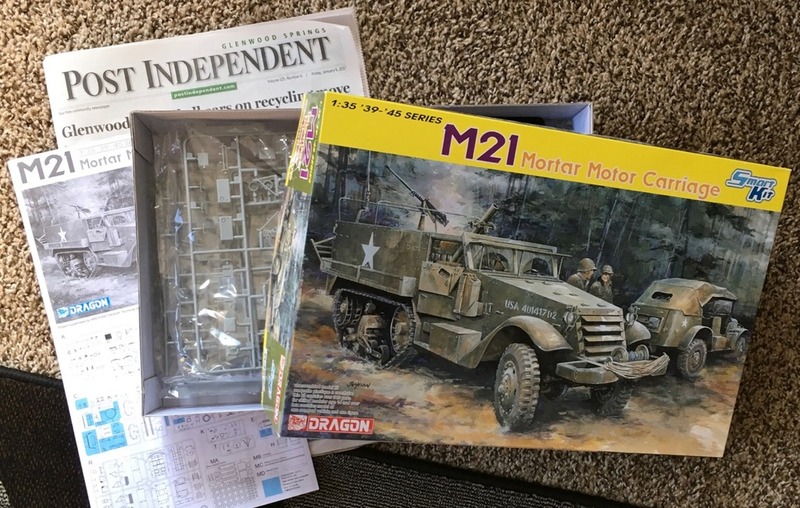 I would like to join and build the Dragon 1/35th scale SdKfz 250/9 Neu. I’m in … here’s my ransom demand. Clayton - yep scratch-build (excluding the tracks and possibly the wheels). Well being a scratch I have no box of bits to show . Just a few basic dimensions marked on a photo (also have the front and rear photos marked out). I'm too cheap to buy a paper and besides living rural it's 30km to the shop . I'm looking forward to seeing your project materialize! Hey Guys, here is my entry an oldie but goodie I will build OOB. No frills, using my stash up to improve on my skills. John A, you have to let me know if you like how that kit goes together. I'm looking to add it to my stash. Here is my entry. Ready to start assembling. Good to have you, Ken and John! Looks like an interesting build - sure 6 months is enough? I am looking forward to this. The speed I build I might be asking for a few extensions . However being 50th scale it (famous last words) shouldn't be that complex. Having had the displeasure of being up close and personal with one of these I know there's not a lot of exterior bits hanging off it. Hardest part might be finding suitable mesh for the window grill's. Just working on a cardboard mock-up to check some angles and dimensions. Real progress pic's to follow at some point and time. Did have a tiny issue with the instructions. 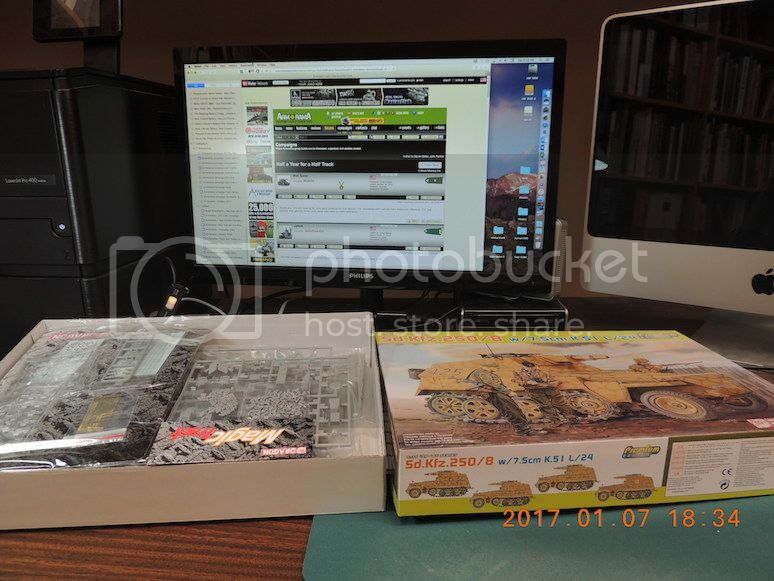 Read on Armorama that's typical for Dragon. Tomorrow I'm going to post a progress report and I'll show you what the issue was. No doubt that they look better, Mark.